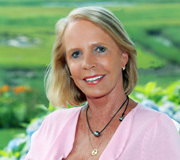 Today’s blog post serves as an FYI to all of our clients and readers. 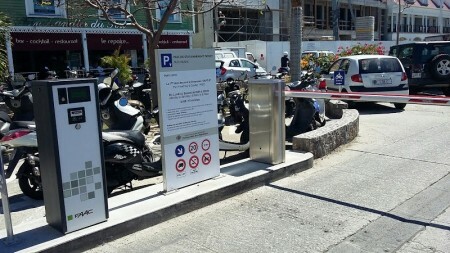 Some changes have been made to the parking regulations. 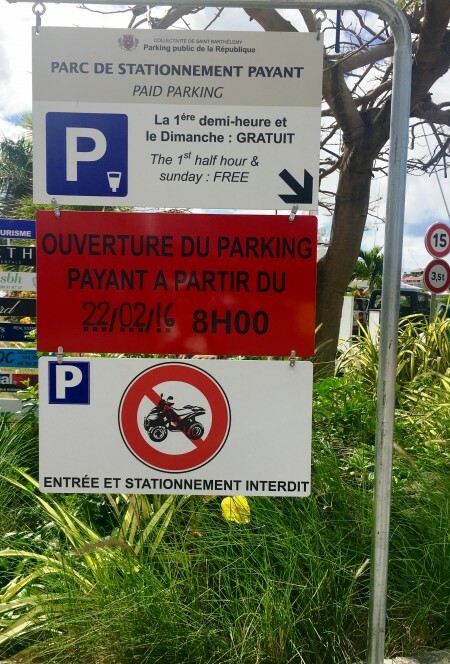 If you have already vacationed here in 2016, you have probably been on the hunt for a parking place when you drove into Gustavia. 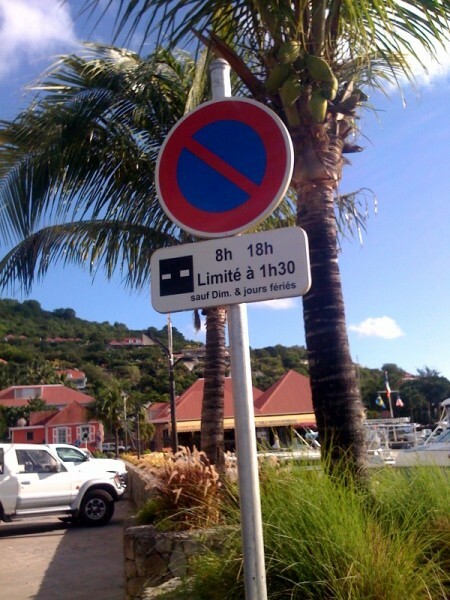 Of course, no one stops coming to St. Barth over this little detail but it can be a challenge to find a spot at certain times of the day. What typically happens on a weekday is the following: People who work in the offices and banks as well as the teachers arrive and park first, followed by those who work in the boutiques as well as the restaurants. So, by the time you are ready to shop or have lunch, you have to drive around the harbor hoping someone pulls out of a space exactly when you are about to drive by. It’s the talk of the island. What we all know is that we need more parking spaces. Some boutique owners have told me that they would welcome being shuttled in and out of Gustavia from St. Jean. The island did this during Carnival and it worked well. Several years ago, an entrepreneur tried to run a shuttle service from the hotels but the taxi drivers shut it down. The employees working in the boutiques don’t use taxis, so a shuttle for workers would not affect the taxis. 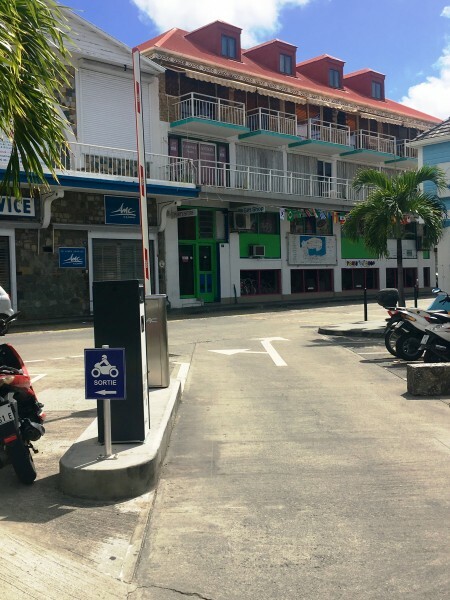 The Collectivité has discussed moving the schools out of Gustavia and/or putting up a parking lot on one of the Gustavia hillsides. So far, nothing has happened although I read that the lot will actually happen. I just don’t know when exactly that will be. 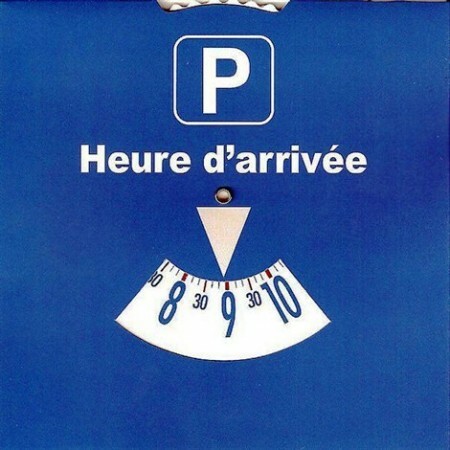 In the meantime, the Blue Disk was introduced to limit the time one can park on certain streets.Your car rental agency gives you one to use while you are here. Using the honor system, you move the hands of the clock on your disk to the time when you parked and you are given 90 minutes to complete your tasks. The “parking police” do give out tickets, so please be diligent about returning to your car on time. One of the most congested areas is the parking lot by the ferry dock. 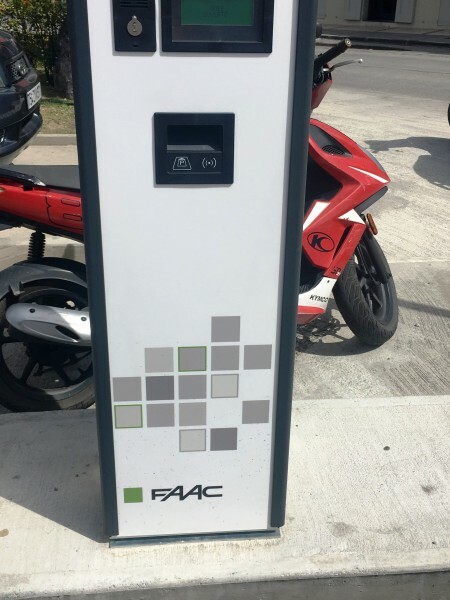 People come to pick up and drop off passengers, shoppers and boutique personnel park there, yacht customers use the lot, and the car rental agencies are there to deliver a car to clients who chose to take the ferry from St. Martin. I just found about the following announcement and checked it out for you. 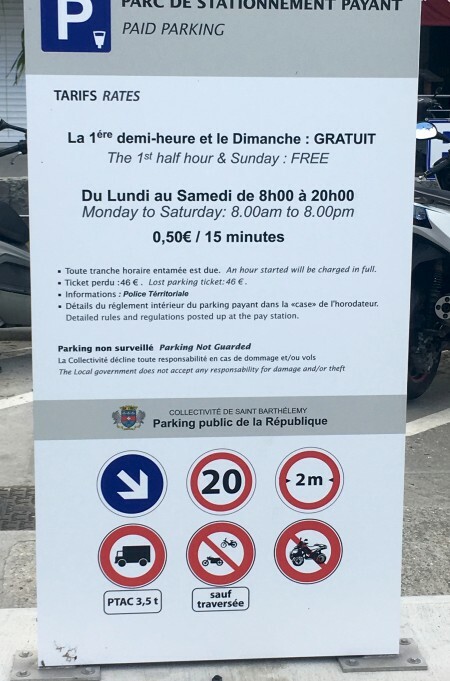 The official announcement showing the date when paid parking at the lot by the ferry dock begins. 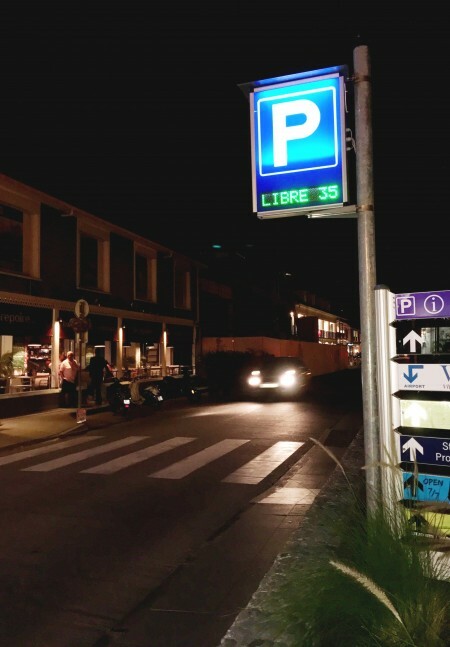 The Collectivité has installed and activated a paid parking lot by the ferry dock. The entrance to the paid parking lot by the ferry dock. There is a sign that tells you how many spaces are open. This sign indciates how many parking spaces are available. If there are any available spaces, take a ticket and the gate will go up. Enter and park. Press the button and take your ticket. Enjoy your time shopping, dining or simply walking around this quaint little harbor. Return to the lot and go to the machine by the gazebo. Choose your language. Scan your ticket and the amount owed will appear on the screen. 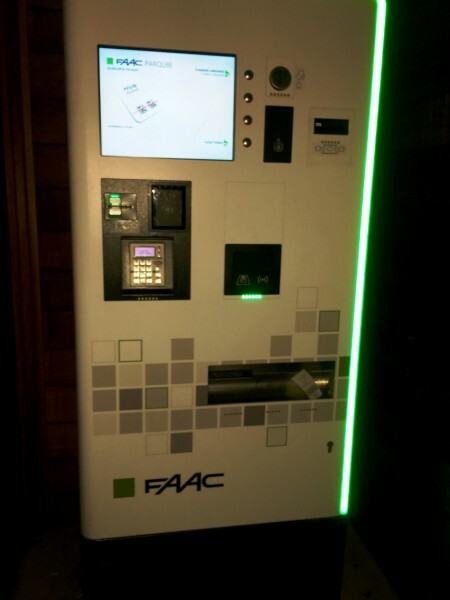 Go to the gazebo with your ticket and use this machine to pay before getting back into your car. Insert your credit card in the slot or use the Wifi symbol to scan if you have Apple Pay. The screen will say Valid for Exit. After you have paid, scan the ticket here and the gate will open for you. Return to your car, go to the exit and scan your ticket in the slot provided and the gate will open. Voilà! You are all set! Note: I tried it last night. Even if there is no charge, you still must go through the above procedure. This sign showing the rules, regulations and tariffs is at the entrance to to paid parking lot by the ferry dock. Don’t forget to notify your credit card company of your travel plans before you leave home. So far, it is working well. Employees are not using it and scooters etc. are forbidden to park in the lot. Once you try it, please let me know about your experience and I’ll keep you posted on the construction of the proposed new parking lot.